Leave a rainbow in the bog… Tuesday, Oct. 21, 2014 / Sheffield, UK #SchwervonPoetry | Schwervon! This entry was posted in Uncategorized and tagged #SchwervonPoetry, leave a rainbow in the bog, Matthew Louis Roth Poetry, Schwervon! Band, Schwervon! 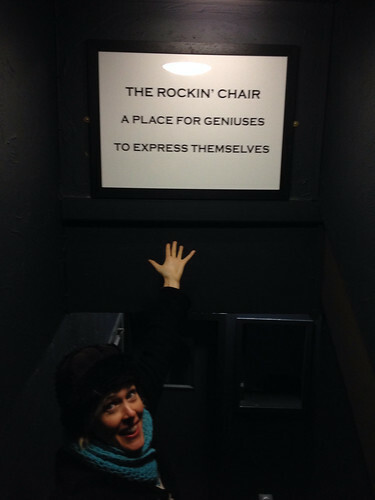 poems, Sheffiled, The Rocking Chair. Bookmark the permalink.